The Maltese government strongly rejected claims it broke international rules when it directed migrants rescued on Wednesday to be disembarked in Tunisia. The non-governmental organisation WatchTheMed said on Wednesday a boat carrying 40 migrants was illegally transferred to Tunisian territorial waters after it was refused entry by both Malta and Italy. It claimed it had information that strongly suggested the migrant vessel was moved into Tunisian territorial waters from international waters inside Malta’s search and rescue zone. But the government said the applicable conventions stipulated that disembarkation should take place at the nearest place of safety, which, in this case, was Tunisia. It also said that it was reported to the Maltese authorities that the migrants initially refused to be rescued unless they would be taken to a European port, irrespective of international rules. “Such a situation would not only have been illegal but would have created a precedent against the said rules,” it said adding that it was only later that the migrants accepted to board the ship that rescued them, and which complied with international rules. 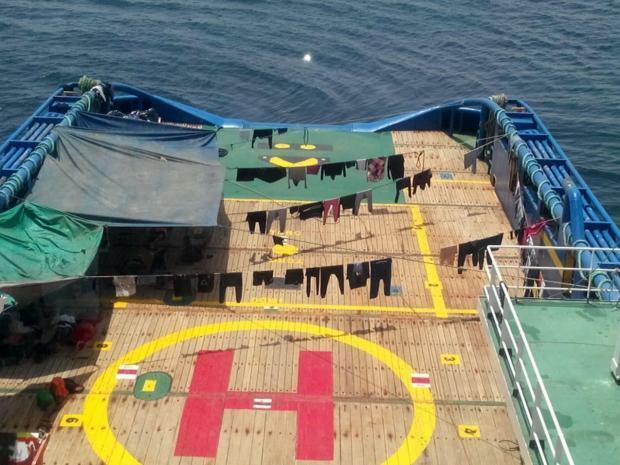 People aboard the wooden boat were rescued on Friday by supply vessel Sarost 5, which asked Malta and Italy for permission to disembark the rescued people. Both refused and the supply vessel headed to an oil platform to be fed. Tunisian authorities in both Sfax and Zarzis have allegedly also refused to take in the migrants. WatchTheMed has now launched a petition calling on the Maltese authorities to “take on their responsibility to allocate a safe European harbour for the 40 people in need”. In the petition it is claiming that the fact that the migrant boat had reached Malta’s SAR zone was documented and confirmed by Tunis and the crew of the Sarost V.
“The people have now been at sea for at least one week – it is cruel and inhumane to prologue their suffering further, simply to score political points,” it said.